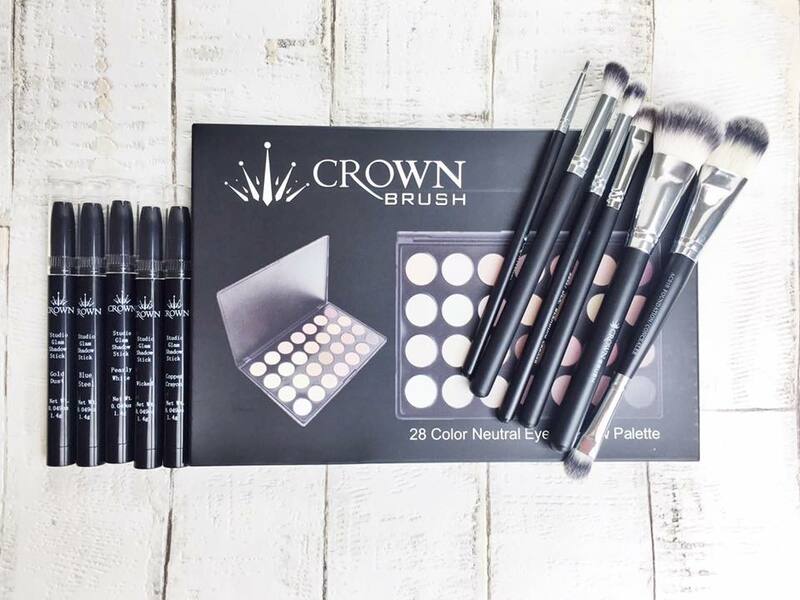 Recently a company called Crown Brush contacted me via Twitter (@CrownbrushUK) asking me if I would like to try out some of their products. I have heard a lot about this brand recently so I jumped at the chance to try their products out. Crown Brush as I'm sure you can gather from the name of the company specialise in brushes, they have been manufacturing brushes for over 30 years. They are the leaders in quality, price and customer satisfaction. I had a look through their website and expressed my interest in some specific products to be sent. Crown Brushes have so many different brush lines but the one that stood out to me the most was their Syntho range as they looked super dense and soft. The matte black handle on these brushes are comfortable to hold and look sleek which is a huge plus for me. SS008 Deluxe Eyeliner Brush - This super tiny brush is so amazing for applying gel eyeliner. I have a MAC black gel liner which I have barely used as the eyeliner brush I owned before this one was difficult to use, the fact that this brush is so tiny allows you to apply the liner so precisely which I love. 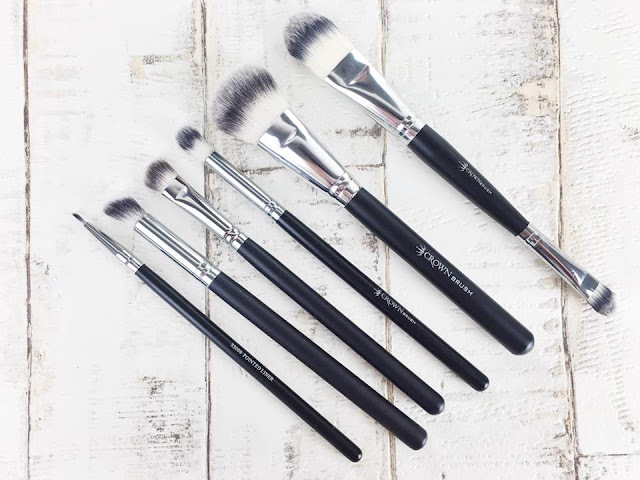 SS026 Angle Shader - This brush is so soft and dense, I have been using it to apply my transition shadow shades as it is super fluffy making it easy to blend thoroughly which is a must when applying your transition shades. SS011 Deluxe Oval Shadow - I have been using this brush to pack shadow on my lid, it works amazingly well to pack on intense colour especially paired with my MAC fix +. Before owning this brush I was using a crappy makeup revolution brush, which I thought was really good before using this one from crown. Let me tell you, this brush is insanely good and so inexpensive!!! SS012 Deluxe Crease - This brush reminds me a lot of the infamous MAC 217 but it is a fraction of the price! The deluxe crease brush works really well to darken up the crease for a smoky eye. What I really enjoy about this brush is when applying colour to the crease it also blends it out so so seamlessly you almost don't need to use another blending brush, which is perfect for when you're feeling lazy! SS035 Medium Face Contour - This brush has got to be the most softest brush I have ever touched! I feel as though this brush is perfect for everyone, a contour pro or contour noob. It just makes the lengthy and tiresome blending process so much easer and quicker and for a lazy blender like me it makes things so much easer and way more seamless. AC010 Deluxe Fondation - I am so glad I was sent this brush, I haven't been using it for foundation as I prefer to either use a buffer or a sponge to apply my foundation, but I have been using it for my cream contour. This is the perfect brush to apply your cream contour with, I use the larger end to apply contour to the hollows of my cheeks and forehead and then the smaller side for my nose, jaw, chin etc. I have found since using this brush I have been wanting to use cream contour much more than before as it is just so easy to use. The next products they sent me where their Studio Glam Shadow Sticks, I have been wanting to try out some shadow sticks for ages so was super excited to see these in the very generous package. 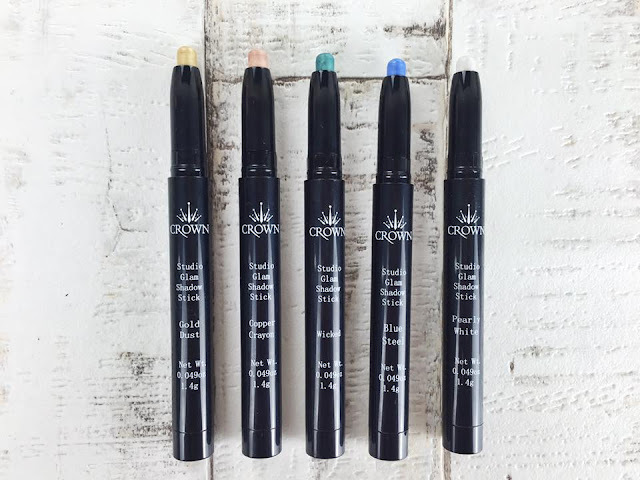 these shadow sticks are so creamy and easy to use, all of the shades are so pigmented. My favourite shades out of the 5 are Pearly White for the inner corner and Copper Crayon for the lid. I don't have anything negative to say about these shadow sticks they are just amazing and at just £3.99 they're a winner in my book! left to right, Gold Dust, Copper Crayon, Wicked, Blue Steel & Pearly White. This next product is by far my favourite of them all the 28 colour natural eye palette, I mean just look at those pretty colours! I can be rather boring when it comes to make up as I love neutral shades and lets face it you can never have too many neutral eyeshadows. 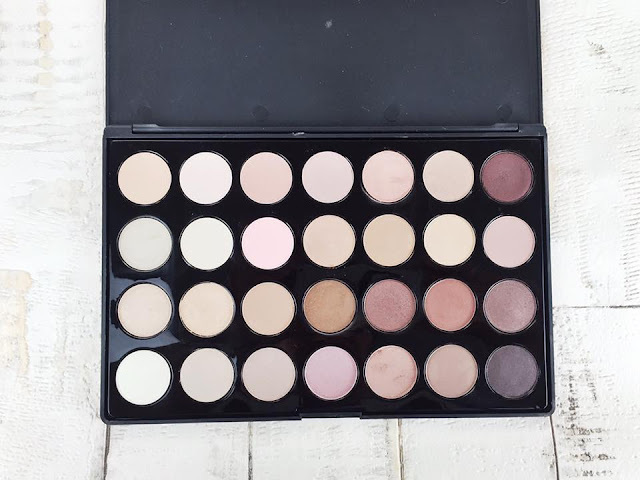 These shadows are so creamy, pigmented and blend like a dream, some of the lighter shades aren't quite as pigmented as the darker ones but they can be built up so it isn't an issue for me. There is such an amazing balance between shimmery shadows and matte shadows which is a really lovely touch in my opinion as it is always good to have choices! I have been using this palette literally everyday since I received it as there's everything you need for an everyday eye look in just one palette. Over all I think Crown Brush is such an amazing brand, the staff are so friendly and the products are so amazing especially for the low prices! The only negative thing I have to say about this brand is now I have tried some of their products I now want to collect EVERYTHING they sell!! Have you ever tried anything from this brand before? let me know below! I am wanting to try some of these brushes so bad! I love the look of them, they look so much more highend! I haven't tried the brand before but I've heard really good reviews! Didn't realise they did makeup too, that eyeshadow palette is gorgeous! Never heard of this brand before but what a great gift!